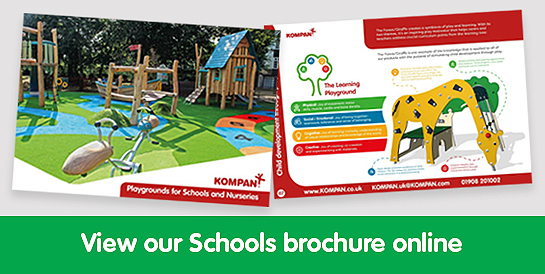 Unique designs, safe, durable play and sports areas. Built for physical challenges and socialising! Older children love our Secondary School Playground and Sports Equipment! Our dedicated teenage activity units have been specially designed to help schools provide young adults with engaging activity spaces, for girls and boys that no longer want to play on traditional playground equipment but still need places to hang out and expend energy on the playground. Our aim is to support the health, learning and social inclusion of all teenagers and abilities, including those that no longer play, or are mad about sport and provide safe spaces for them to be on the playground, without compromising the comfort and activities of younger children. 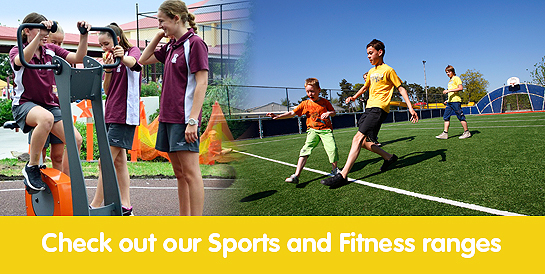 Our wide range of equipment allows secondary schools to build areas specific to the activities of their pupils, comprehensive Multi Use Games Areas that allow for football, basketball and other net sports, complete with break out and meeting areas for friends to come together. 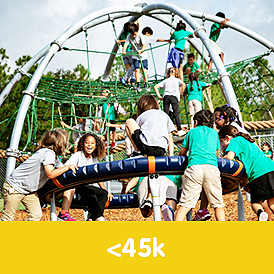 Alternatively, we can create unique and exciting obstacle courses that can be used both in outdoor P.E lessons as part of the curriculum or during break time for entertainment. 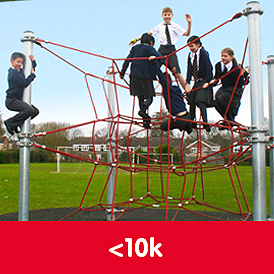 With a selection of smart, scalable outdoor exercise and interesting playground equipment designs, we can design break-out areas for teenagers around all abilities and levels, whether they’d prefer to get active or take it easy and socialise. An active and healthy lifestyle isn’t only important for young children but is encouraged throughout adolescence and adulthood. 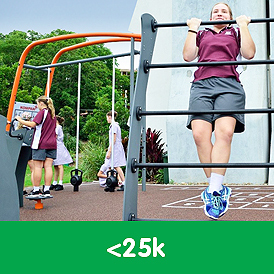 Our secondary school playground solutions can help teenagers and young adults build a positive attitude towards regular exercise and keeping fit through outdoor play. 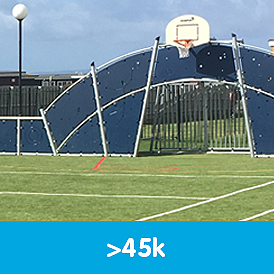 Impressive and varied playground structures make up our popular Galaxy range that will see teenagers climbing, stretching, flexing and navigating routes. Ideal for exercising both mind and body, increasing concentration and focus in the classroom and during independent study periods and introducing teenagers and young adults to alternative opportunities for keeping active. Speak to one of our team today on 01908 201 002 for more information about our products and services or click here for your free quote. A child can use their strength and then hold their balance! This seems to be the best way to describe the kind of play that takes place on the Supernova. 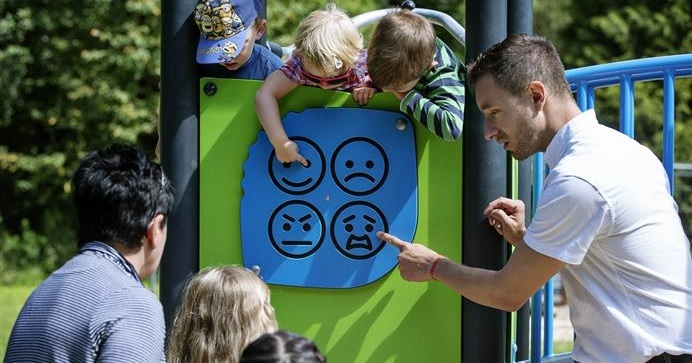 A single child can engage in exploring its possibilities, but together with a whole group of children, this play item then expresses its real potential. The large, slanting ring is set in motion by the children. Turning, spinning, balancing or just enjoying the ride are among the countless play options of the Supernova. Check out the video!